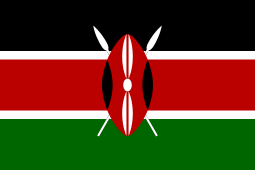 The Nubi language (also called Ki-Nubi) is a Sudanese Arabic-based creole language spoken in Uganda around Bombo, and in Kenya around Kibera, by the descendants of Emin Pasha's Sudanese soldiers who were settled there by the British colonial administration. 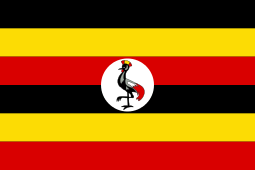 It was spoken by about 15,000 people in Uganda in 1991 (according to the census), and an estimated 10,000 in Kenya; another source estimates about 50,000 speakers as of 2001. 90% of the lexicon derives from Arabic, but the grammar has been simplified, as has the sound system. Nubi has the prefixing, suffixing and compounding processes also present in Arabic. Although its name literally means Nubian, it bears no relation at all to the Nubian languages spoken by Nubian groups in the south of Egypt and north of Sudan; its name derives from a misuse of the term "Nubi". In fact, most of the soldiers who came to speak it originally came from Equatoria, in South Sudan. Jonathan Owens argues that Nubi constitutes a major counterexample to Derek Bickerton's theories of creole language formation, showing "no more than a chance resemblance to Bickerton's universal creole features" despite fulfilling perfectly the historical conditions expected to lead to such features. In Arabic words, /q θ ð x ħ/ may be used in religious contexts, or by educated Arabic speakers. Otherwise, they are normally replaced by /k t d h h/, respectively. "'Ina 'kan 'g-agara, ba'kan lisa 'kan 'ana 'g-agara fu 'bombo 'sudanis, 'ina 'kan 'endi 'din te min 'subu, 'asede 'din te min 'subu 'de, 'ana 'agara 'owo, ke na 'kelem ja fu 'wik 'way je'de, 'ana 'g-agara 'wwo 'mara tinen, 'yom 'tan 'de." Note especially "'wik" (week), which is from English. Heine, Bernd (1982) The Nubi Language of Kibera – an Arabic Creole. Berlin: Dietrich Reimer. Boretzky, N. (1988). "Zur grammatischen Struktur des Nubi". Beiträge zum 4. Essener Kolloquium über Sprachkontakt, Sprachwandel, Sprachwechsel, Sprachtod, edited by N. Boretzky et al., 45–88. Bochum: Brockmeyer. Musa-Wellens, I. (1994) A descriptive sketch of the verbal system of the Nubi language, spoken in Bombo, Uganda. MA thesis, Nijmegen. Nhial, J. "Kinubi and Juba Arabic. A comparative study". In Directions in Sudanese Linguistics and Folklore, S. H. Hurriez and H. Bell, eds. Khartoum: Institute of African and Asian Studies, pp. 81–94. Owens, J. Aspects of Nubi Syntax. PhD thesis, University of London. Owens, J. (1985). "The origins of East African Nubi". Anthropological Linguistics. 27: 229–271. Owens, J. (1991). "Nubi, genetic linguistics, and language classification". Anthropological Linguistics. 33: 1–30. Owens, J. (1997) "Arabic-based pidgins and creoles". Contact languages: A wider perspective, edited by S.G. Thomason, 125–172. Amsterdam: John Benjamins. Wellens, Dr. I.H.W. (2001) An Arabic creole in Africa: the Nubi language of Uganda (Doctoral dissertation, Nijmegen). ↑ Hammarström, Harald; Forkel, Robert; Haspelmath, Martin; Bank, Sebastian, eds. (2016). "Nubi". Glottolog 2.7. Jena: Max Planck Institute for the Science of Human History. ↑ Umberto Ansaldo; Stephen Matthews; Lisa Lim (2007). Deconstructing Creole. John Benjamins Publishing Company. p. 290. ISBN 9789027229854. Retrieved 2010-01-20.